Mornings are l-o-v-e especially if you love breakfasts. And because Italianni's "cares" for us- customers, they are offering a choice of over 40 international breakfast dishes that you can think of and would love to eat. I am a Pinoy-at-heart and I love Tapsilog. It's my all-time fave power breakfast. Just look at the photo and you'll know why. 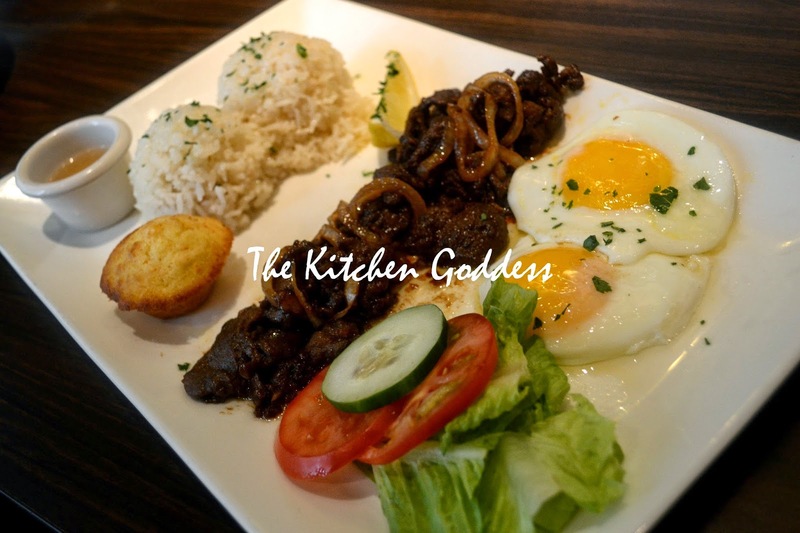 I love beef (tapa), the garlic fried rice and the sunny side-up. Heaven! My daughter loves pancakes and waffles, and my hubby favors light breakfast such as bread and fruits and a cup of coffee. Aside from Pinoy Breakfasts, Italianni's also offers pancakes, waffles and even eggs benedict. There are also muffins, sausages, bacons, and a whole lot more. 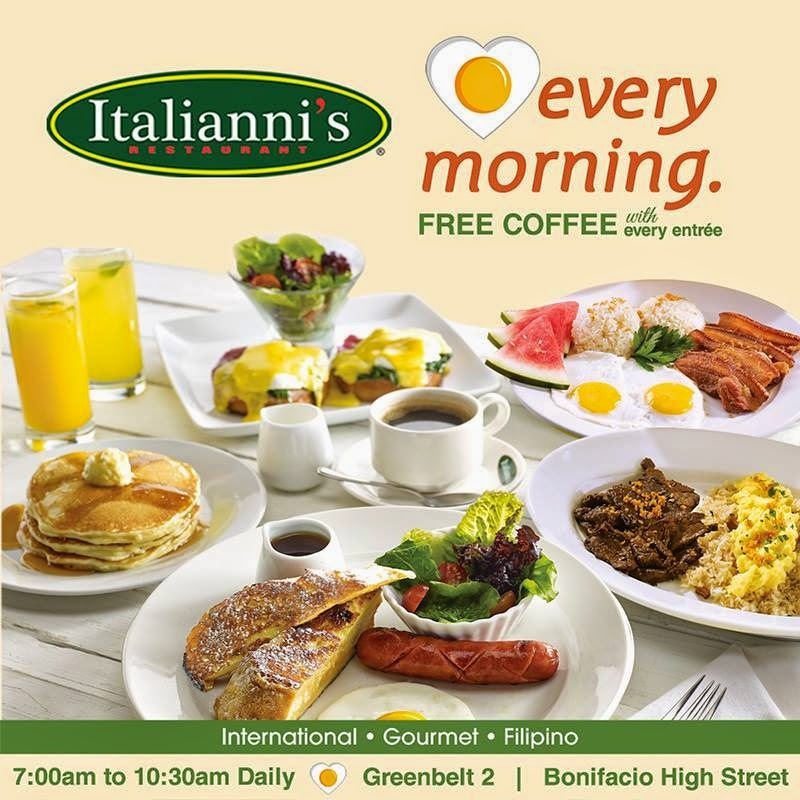 Breakfast at Italianni's are from 7am to 1030am at the Greenbelt and Bonifacio High Street Branches.